Nairobi, KENYA – December 6, 2017 – Mastercard today unveiled Kionect, a digital ordering system that empowers small kiosk owners in Nairobi to order and pay for products from wholesalers via SMS. Orders submitted via a feature phone helps create a digital record for kiosk owners to get access to micro-loans to stock inventory and grow their business. 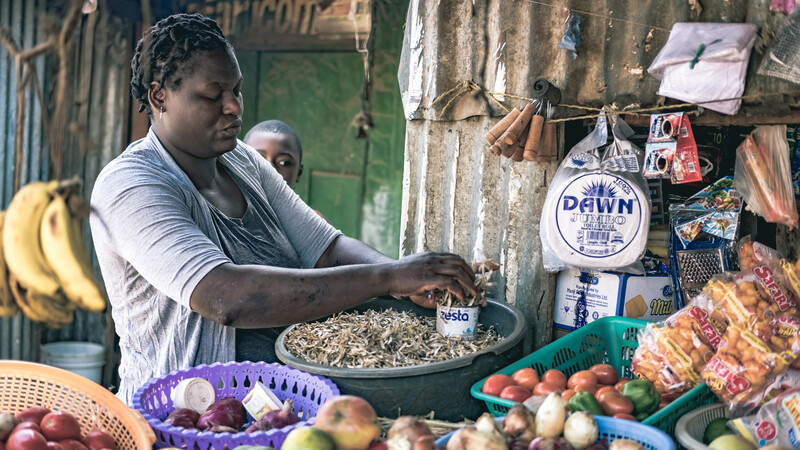 Kionect is currently being piloted with over 1,000 micro-businesses in three of Nairobi’s informal settlements – Kibera, Kawangware and Kariobangi – in partnership with Kaskazi, a for-profit wholesaler and distributor. Diamond Trust Bank (DTB), a financial institution with operations in Kenya, Uganda, Tanzania and Burundi, is facilitating digital payments between the kiosk owners and the wholesaler, and is also acting as a re-seller of the platform to its wholesale business clients. Kionect, technology from Mastercard, provides a digital log of transaction data that qualifies these micro-retailers for loans to stock inventory from Musoni, a regional micro-finance provider. With every loan that is paid on time, the kiosk owner has the opportunity to take out a larger loan for a longer term and further contribute to the growth of their business. For the nearly 100,000 kiosk owners in Kenya, there is no way to qualify for traditional, financial products such as loans and lines of credit offered by banks and financial institutions. This is largely due to the fact that these businesses run on cash, which means they have no financial track record. In addition, there is no mechanism for kiosk owners to place stock orders directly with the wholesaler, which makes it challenging to stock fast moving inventory. Kionect is one of several broad-based collaborations Mastercard has launched with public and private sector entities to bring the benefits and security of electronic payments to Africa and around the globe. It developed from a direct collaboration with Mastercard Labs for Financial Inclusion and micro-businesses in Kenya. After the initial pilot, Mastercard will embed the most successful services and features of Kionect into solutions designed for scale in partnerships with global Fast Moving Consumer Goods (FMCG) companies in emerging markets. “We are seeing an increased need for supply-chain financing in the micro-merchant and small and medium enterprise space,” Farouk Khimji, Head of Products & Innovations, DTB. “If wholesalers can provide financial help to their merchants, it can help bring income stability, grow their business, create new employment opportunities and contribute to economic growth for Africa.